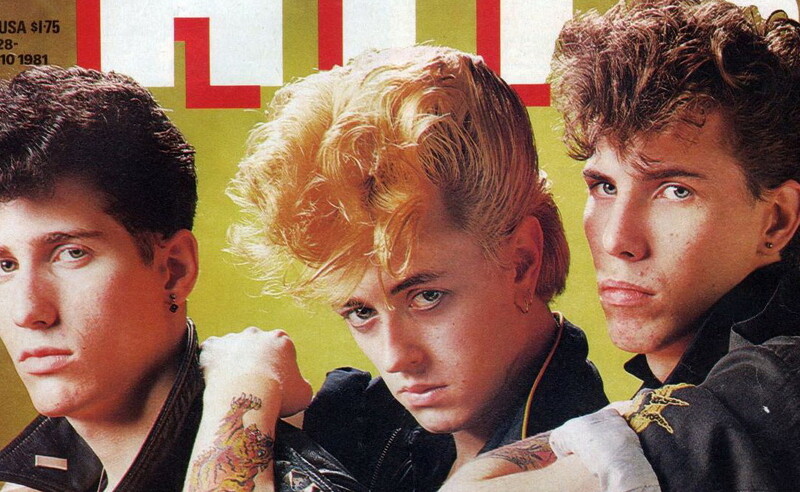 Smash Hits, a pop music magazine aimed at teenagers, was originally published in the United Kingdom by EMAP. It ran from 1978 to 2006 and was issued every other week for most of that period. The magazine was at its peak in the 1980s, launching the career of many journalists including Heat’s editor Mark Frith. Other well-known writers have included Dave Rimmer, Ian Birch, Mark Ellen (who went on to launch Q, Mojo and Word), Steve Beebee, Peter Martin, Chris Heath, Sylvia Patterson, Sian Pattenden, Tom Hibbert, and Miranda Sawyer. Neil Tennant of the Pet Shop Boys also worked as a writer and assistant editor, and once claimed that had he not become a pop star, he would likely have pursued his ambition to become editor. Many issues from the late 1970s to the early 1980s have been digitized as a collection at the Internet Archive Magazine Rack as Smash Hits Magazine. Between the World War I years when many men were serving overseas and the passage of the Nineteenth Amendment, the years 1910-1925 were full of firsts for women. 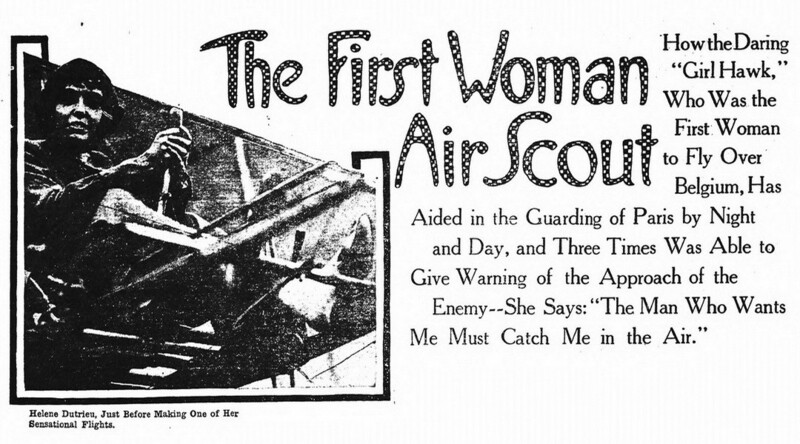 Some firsts represented major changes in the opportunities open to women in American society and some were just stunts or examples of woman flexing their growing independence. From military service to civil service to new occupations, these women were of interest to the American population at large. Women taking on new roles made the news nationwide. Photographer Frances Benjamin Johnston (1864-1952) created a systematic record of early American buildings and gardens called the Carnegie Survey of the Architecture of the South (CSAS). This collection includes more than 7,100 images of an estimated 1,700 structures and sites in rural and urban areas of Virginia, Maryland, North Carolina, South Carolina, Georgia, Alabama, and Louisiana, and to a lesser extent Florida, Mississippi, and West Virginia. Frances was born during the American Civil War. Her 60-year career as a photographer began with portrait, news, and documentary work. Over time she began to focus on contemporary architecture and gardens, culminating in a survey of historic buildings in the southern United States. She counted presidents, diplomats, and other government officials among her portrait clients, while in her personal life she traveled in more Bohemian circles. In 1945 she moved to New Orleans and settled by 1946 at 1132 Bourbon St., in the French Quarter. 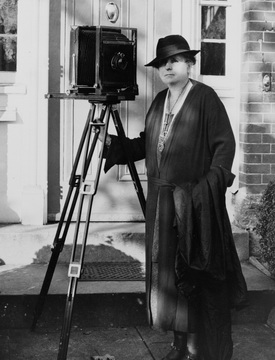 That same year she became an honorary member of the American Institute of Architects “for her notable achievement in recording photographically the early architecture of the United States.” In 1947 she had a final exhibition at the Library of Congress. Frances died in New Orleans on May 16, 1953 at the age of 88. She is buried in Rock Creek Park Cemetery, Washington, DC. The survey began with a privately funded project to document the Chatham estate and nearby Fredericksburg and Old Falmouth, Virginia, in 1927-29. Johnston then dedicated herself to pursuing a larger project to help preserve historic buildings and inspire interest in American architectural history. Frances Benjamin Johnston working on the CSAS in 1935. Johnston produced vivid portrayals of the exteriors and interiors of houses, mills, and churches as well as mansions, plantations, and outbuildings. 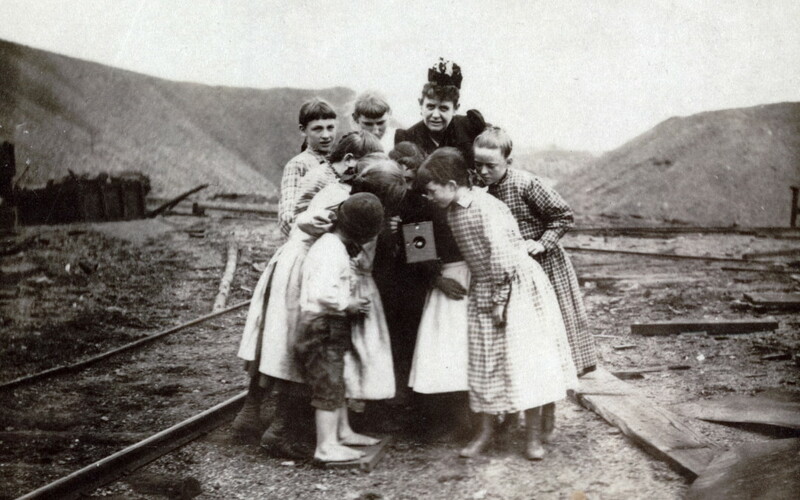 She traveled thousands of miles by car to build this collection of photographs. The Carnegie Corporation provided here with six grants during the 1930s on condition that the negatives be deposited with the Library of Congress. 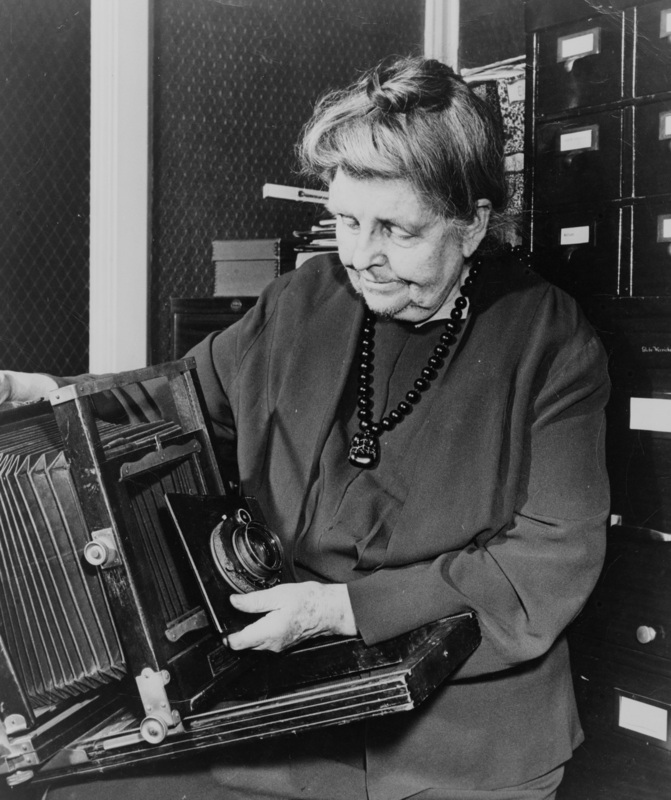 The LoC formally acquired the negatives from her estate in 1953 along with about 20,000 other photographs. The Library of Congress, with funding from ARTstor, digitized her negatives in 2008. The CSAS collection is fully indexed so you can browse it by subject. While much of the collection contains photos of stately manors and public buildings, a few of the locations she surveyed had the remains of slave quarters that she was able to record for posterity. The wonderful work of archivists have preserved far more material than we usually see. Our goal here is to unearth and present some of the stuff we never saw in school. What Happened to Daisy Bates? All images included in blog posts are licensed directly from the rights holder or are from out of copyright public sources unless otherwise noted. Common sources include the Library of Congress, The Flickr Commons, Wikimedia Commons, Pixabay, and other public archives. If you suspect a rights-reserved image is used here, please mail us and let us know which image you have questions about.